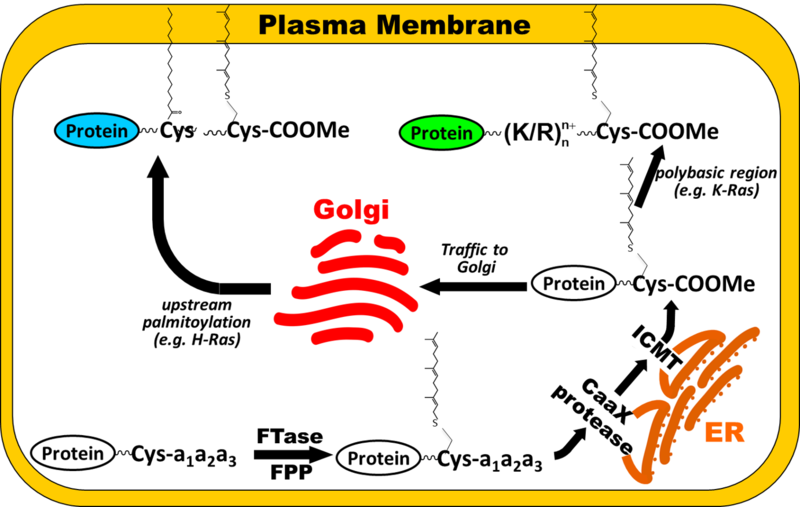 The protein prenyltransferases, protein farnesyltransferase (FTase) and protein geranylgeranyltransferase-I (GGTase-I), catalyze the attachment of a 15-carbon farnesyl or 20-carbon geranylgeranyl moiety, respectively, to a cysteine near the C-terminus of a substrate protein. Addition of a lipid to the substrates increases their hydrophobicity, which increases the affinity of the protein substrate for the cell membrane, or possibly a membrane associated receptor. Substrates of the prenyltransferases are involved in a myriad of signaling pathways and processes within cells, although the entire complement of prenylated proteins has not yet been determined. Our lab studies the chemical reaction mechanism of FTase and GGTase I using a combination of enzyme kinetics and spectroscopy. We are currently studying the enzyme substrate specificity, the function of zinc and magnesium in these enzymes, and how they interact with other proteins and biomolecules in order to regulate prenylation of substrates. Genome analysis of bacterial pathogens, including L. pneumophila, M. tuberculosis, C. burnetii, and P. aeruginosa, revealed a number of proteins with a cysteine four amino acids from the C-terminus that could be translocated into the host cell during infection and prenylated by host prenyltransferases. Our studies have shown that peptides corresponding to bacterial proteins are substrates for mammalian prenyltransferases, indicating that the prenylated proteome includes a number of bacterial and viral proteins. We are currently looking at protein prenyltransferase inhibitors as an aid to the treatment of bacterial pathogens. Regulation of protein prenylation occurs through different CaaX sequences and more recently, through the function of SmgGDS splice variants. The prenylation of Ras and Rho family GTPases can be regulated by SmgGDS isoforms through substrate sequestration. 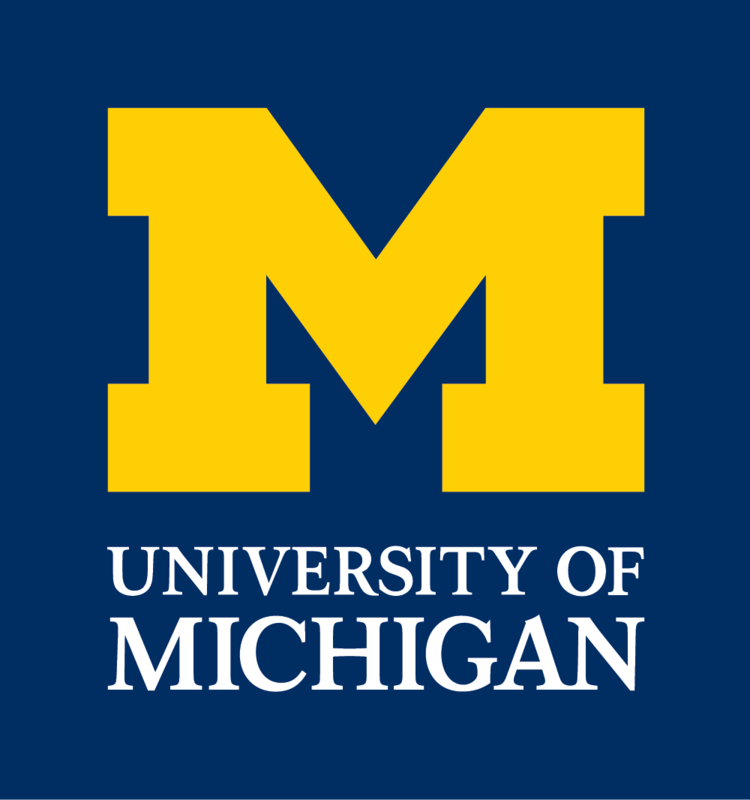 In the Fierke Lab, we seek to understand the mechanism of SmgGDS regulation, and the effects of GTPase nucleotide status and phosphorylation on regulation.